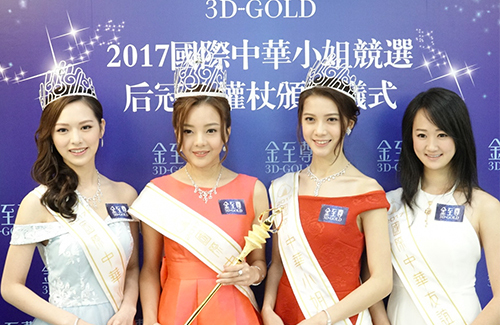 The Miss Chinese International Pageant 2017 champions—winner Stitch Yu (余思霆), first runner-up Serene Lim (林宣妤), second runner-up Crystal Fung (馮盈盈), and Miss Friendship Addy Li (李虹臻)—went to retrieve their crowns and prizes from the pageant’s sponsor in Hong Kong yesterday. First runner-up Serene Lim, on the other hand, will use the prize money for family trips. The 20-year-old has a boyfriend, who went to support her during the finals. Though Serene avoided talking about him during the time, she finally opened up about him at yesterday’s press conference. Second runner-up and 2016’s Miss Hong Kong, Crystal Fung (馮盈盈), said she will share her prizes with friends and family. I like Serene answers. Nicely done! the first runner up is the prettiest. miss hk looks so plain standing next to these two.